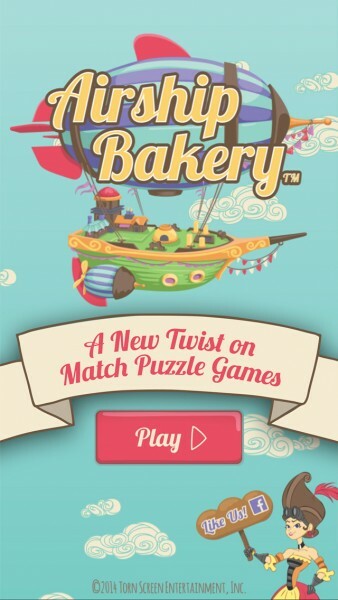 Airship Bakery (Free) by Torn Screen Entertainment, Inc. is a match-three puzzle game with a strategic twist. 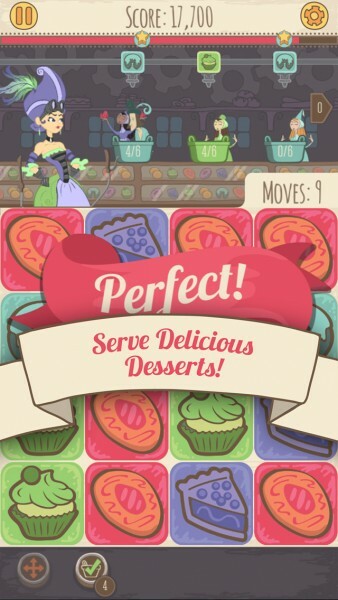 If you’ve had enough Candy Crush Saga for a while and want something that’s different, then Airship Bakery is worth checking out. 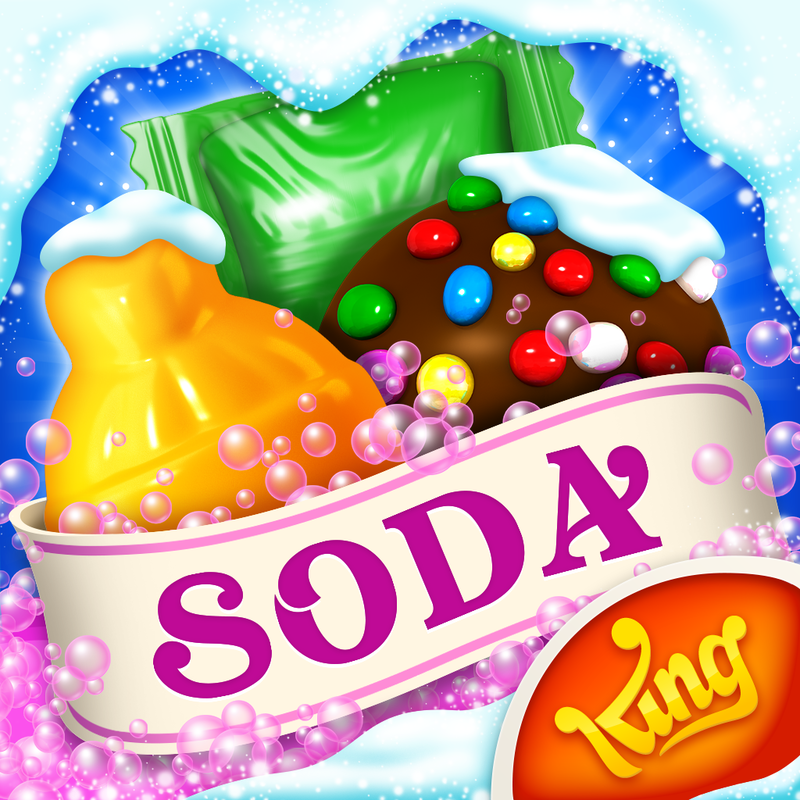 It’s similar to other games like Candy Crush Soda Saga and Cupcake Carnival. When it comes to mobile games, I just can’t get enough of the match-three puzzle genre. I’ve spent hours and hours on Hero Emblems over the past week, but sometimes I just want something different to check out when I’m getting a bit tired of grinding for experience points. That’s when I found Airship Bakery on the App Store, and I was intrigued with the unique gameplay. The visuals in Airship Bakery are colorful, bright, and cheerful. 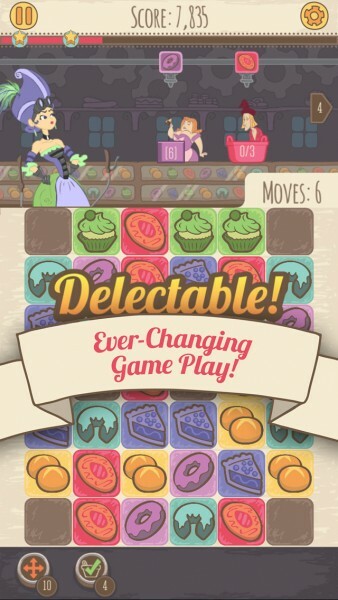 The game has a pseudo-steampunk look to it due to the character’s outfits, and the game tiles are hand-drawn with fantastic artwork that will leave you craving baked goods. 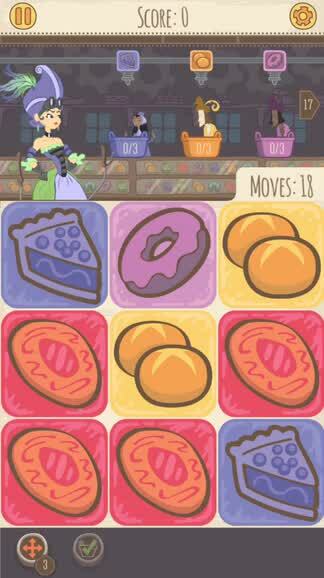 The graphics are all easily recognizable and distinct from each other, so you’ll never be confused between pastries. The animations in the game are smooth and fluid as the pieces move around the board, and the soothing soundtrack is fun to listen to. Plus, the sound effects when you make matches are quirky and fun. Airship Bakery is based on levels spread out across a world map, and in order to advance, you have to beat the previous level, as expected. 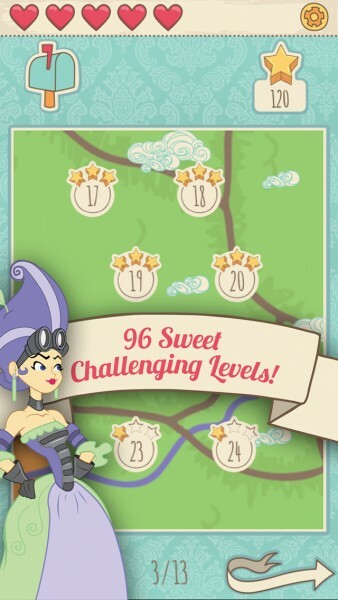 Players can earn up to three stars on a level by reaching certain point thresholds indicated on the stage. The objective in each level is to serve all of the customers in the limited amount of moves, while earning enough points to earn the stars. While it may sound easy, Airship Bakery has a refreshing gameplay mechanic that separates it from most match-three games. Rather than have a large grid of dozens of tiles, Airship Bakery starts with a 3×3 grid of nine large, colorful tiles with baked goods on them, and they increase in size as you progress. There are three customers on the screen with baskets that indicate how many items they need before they are satisfied. To make a match, you need at least three like-items in a row or column. To do this, just drag a tile around anywhere you need it to go — these pieces don’t just swap with adjacent tiles, which is nice and adds a new strategic element to the game. As the pieces move, they displace and shift the other tiles around, so you can make multiple matches at once with good planning. There is no time limit either, so you can take your time on a single move, as long as you don’t lift your finger off the screen. 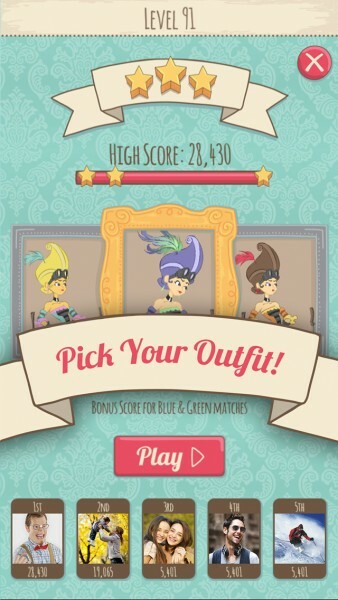 The outfit you pick can net you bonus points for matches of a certain color, so pay attention to that. 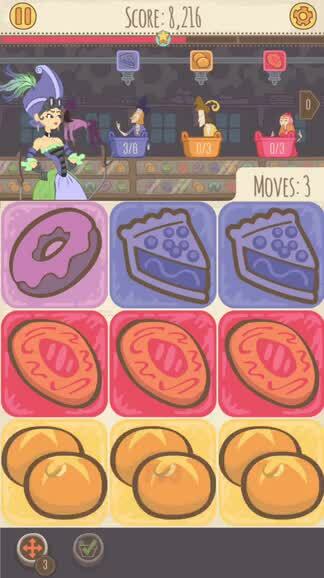 While I don’t usually like these types of freemium games, I can’t help but fall in love with Airship Bakery. The game is different enough from the norm so it isn’t exactly a Candy Crush clone, and the new game mechanic makes it much more strategic, which I enjoy. 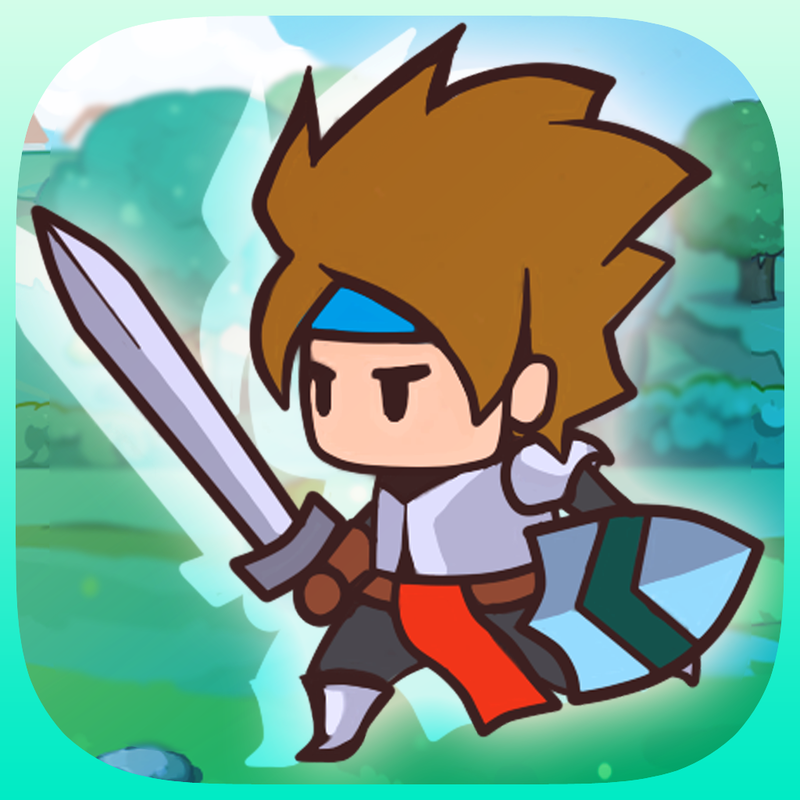 But like other freemium games, if you run out of moves and want to continue, the game pushes you to get more, or some power-up items to make it easier. To add to the replay value, Airship Bakery has Game Center integration for achievements, though there aren’t any leaderboards, oddly enough. I would have thought that a point-based game like this would be perfect for that, so maybe the developers can consider adding it in the future. 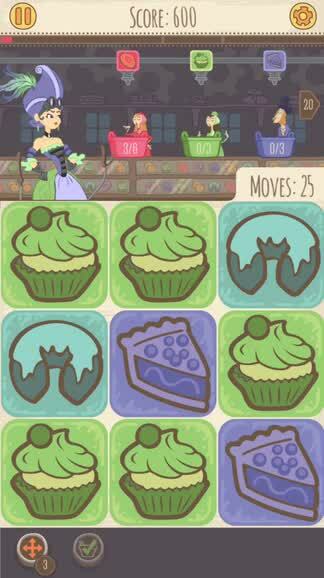 I still recommend checking out Airship Bakery for yourself if you are a fan of match-three puzzle games. 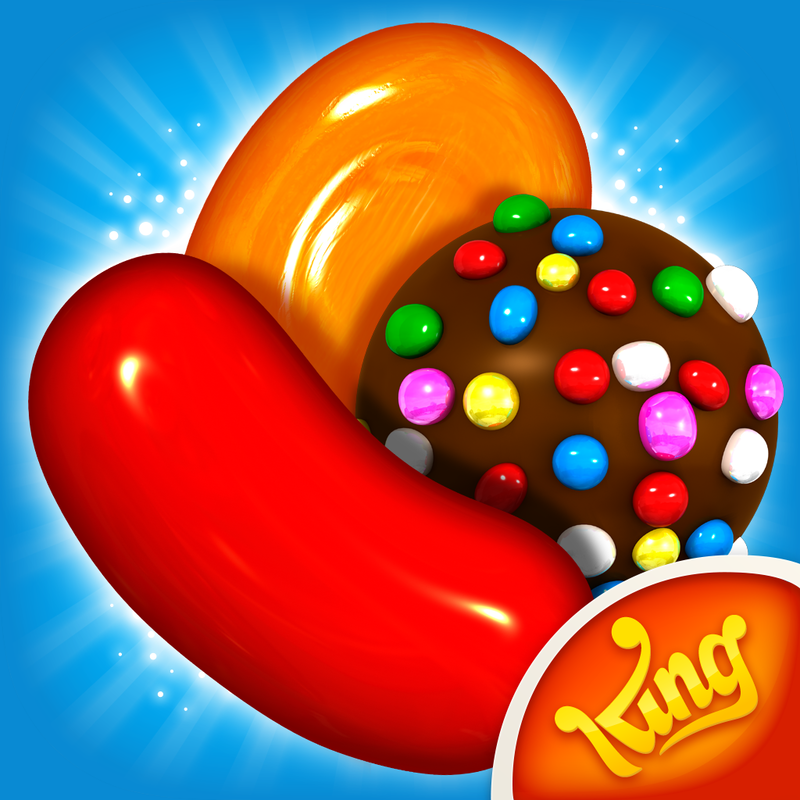 It’s different enough so it’s not just another Candy Crush game. You can get Airship Bakery on the App Store as a universal download for free.